If you caught my Instagram stories this week, you'll know that while there was a winter storm blowing outside, my intrepid husband was inside the garage starting to build his man cave with shelving, tools, and pegboard galore. 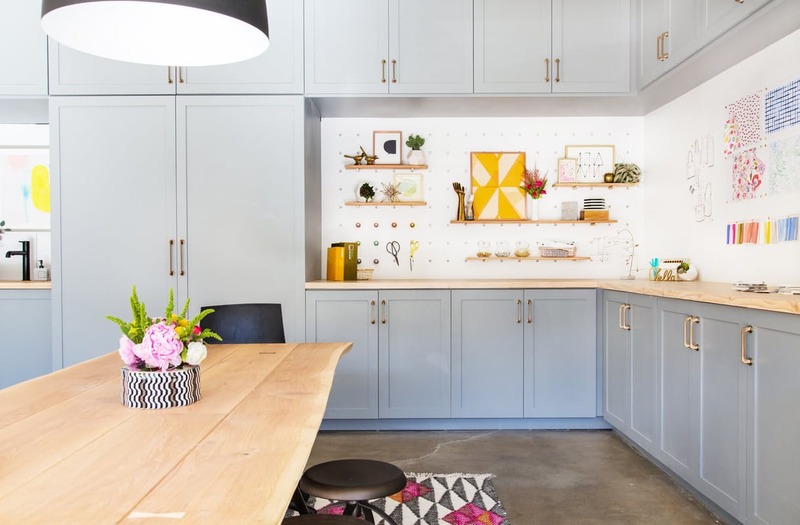 Sabrina Soto's garage has me thinking we could tweak the design and make it girl-friendly too, ha! A pretty dining area makeover. I really love the gold lantern against the blues and greys. I looooove roasted fruit for dessert. Adding this to my recipe book. I had some headshots taken for my new business this week (!!) and wore this top (40% off right now!) It fit me more like a tunic and looked fab over a fitted shirt. Kate is so good at picking tile! I love the unexpected tile colour story she used in this bathroom. It's Family Day on Monday here and I'm looking forward enjoying the extra hours hanging out with my favourite twosome the next few days. Hope your weekend is swell!